The engineering body eventually caved to pressure after Manglin Pillay suggested women are naturally not inclined to choose high-pressure executive jobs. 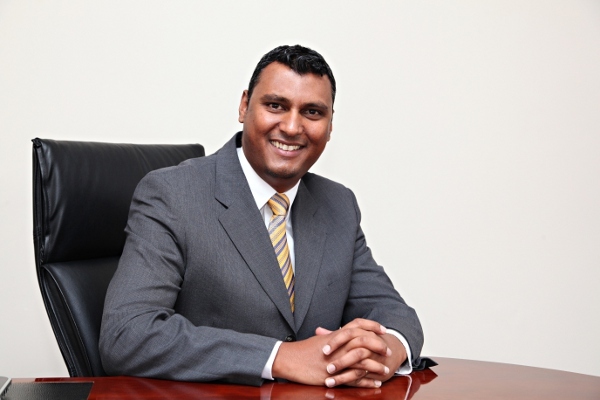 The CEO of the South African Institution of Civil Engineering (Saice), Manglin Pillay, had his employment “terminated” with immediate effect on Thursday after his apology for writing a column that was seen as sexist failed to spare him fallout. In a statement, Saice president Errol Kerst explained that Pillay and the board agreed he should go in the wake of concerns from several members. It took the board a month to finally change their mind, as they’d announced on August 8 that they would not be firing him. They initially issued an apology for the article and said Pillay would face internal discipline. His column “Out on a rib” was featured in the July issue of the civil engineering industry magazine. In it, Pillay questioned whether there should be investment in attracting women to the science, technology, engineering and mathematics (Stem) fields, or investment in creating more gender-equal societies. He has since argued that he’s been variously misunderstood or misquoted. Pillay quoted a study from a Missouri University in collaboration with the Leeds Beckett’s School of Social Sciences, which claimed that in gender-equal societies women generally choose care or people-oriented careers while men are more likely to choose careers relating to mechanics. He came to the conclusion that women prefer not to occupy high-profile executive posts, and would rather stick to “more important enterprises, like family and raising children, (rather) than to be at the beck and call of shareholders”. The column was widely seen as sexist and Saice was initially slammed for not doing enough to distance itself from Pillay’s words by female engineers’ advocacy group WomENG. WomENG issued an online petition that called for Pillay to be removed from his CEO position in an effort to set an example and show discrimination will not be tolerated by the engineering body. WomENG co-founder Hema Vallabh said the Pillay saga had highlighted the “sexism and misogyny” in the industry. She and many others have reacted to the news of Pillay’s departure. Which women does @_WomEng represent even? They took the views of a few people and ran with it instead of engaging in robust debates on the article.. one article and they labelled #ManglinPillay a misogynist who deserves to be fired.. they even calling it a victory ???? Good grief. Did #ManglinPillay really think he can write this about women in the workplace without any consequences? Millions of us (many single moms too) have brilliant careers AND families!